The challenge of retelling five hundred years of American history in a single volume has been so daunting that hardly any historian has attempted it in decades. When Jill Lepore's New York Times best-selling These Truths appeared in 2018, critics quickly hailed it as a classic--appealing not only to academics, but to thousands of astonished general readers. Picking up the book out of a feeling of civic duty, they opened its pages to discover a different kind of writing, and what the Washington Post called "an honest reckoning with America's past"--a story filled with women and men and people of every color and religion, one that wrestles with the state of American politics, the legacy of slavery, the persistence of inequality, and the nature of technological change. 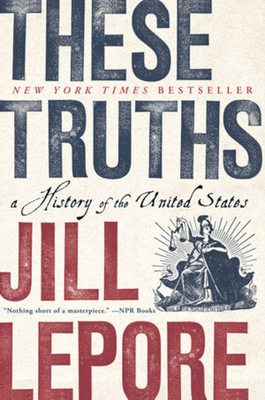 With These Truths, Harvard historian and New Yorker writer Jill Lepore has produced a book that will shape our view of American history for decades to come.